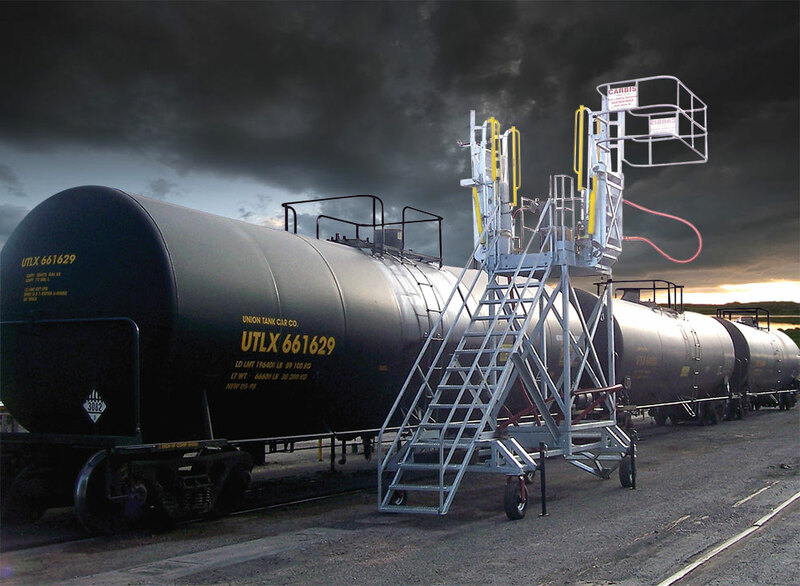 All of your transloading needs can be met with the Buzzard dual vehicle access system from Sam Carbis With this quality-engineered system, your operators can transfer products safely, and the system can be tailored to allow safe access to two different kinds of rolling stock at the same time. The Buzzard can accommodate motors, pumps, and hoses as well, ensuring that the system fulfills all of your requirements. When in operation, the Buzzard is placed between two vehicles, deploying access gangways featuring fall prevention cages so workers can access the tops of the vehicles safely and efficiently.